The target used for this match is the PA Service Pistol Target shown on the left. 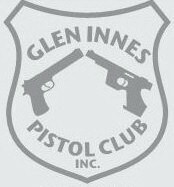 You will need a centrefire pistol, 4 magazines (semi auto) or 3 speed loaders (revolver), 90 rounds and PA Holster Accreditation for Service Pistol. The first series is shot at 45.70m from the targets. 6 shots target 4 - prone (lying down). 6 shots target 3 - sitting or kneeling. 6 shots target 2 - right side of barricade. The second series is shot at 22.85m from the targets. 6 shots target 2 - right side of barricade reload and 6 shots target 1 - left side of barricade in 35 seconds. The third series is shot at 9.14m. The target used for this match is the ISSF 25m Rapid Fire Target shown on the left. 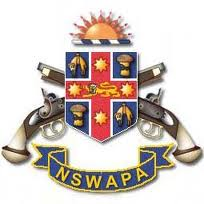 You will need a centrefire revolver or semi-automatic with the shortest legally allowable barrel length and 65 rounds. All ammunition for each series must be loaded from one pocket only. Preparation time is 3 minutes. The first series is shot at 22.85m. Centre Fire/Sports Pistol - Precision Stage. The target used for the Centrefire Precision Stage is the ISSF 25m Precision Target shown on the left. For Centrefire you will need a centrefire pistol, for Sports you will need a .22 long calibre pistol. Both versions require 70 rounds. Preparation time is 5 minutes. 5 shots in 5 minutes. 6 series of 5 shots in 5 minutes. Score and Patch after each series. Centre Fire/Sports Pistol - Rapid Stage. The target used in the Centrefire Rapid Stage is the ISSF 25m Rapid target shown on the left. Shooters must be in the ready position at the start of each series. The ready position is arm extended at 45 degrees forward and down. Each series the targets are exposed for 3 seconds and away for 7 seconds, there are 5 exposures per series. When the targets turn to the exposed position the shooter raises the pistol and fires, then lowers to the ready position to await the next exposure. This is commonly referred to as 'Duelling'. 5 shots 'Duelling' timing (3 seconds exposed, 7 seconds away for 5 exposures). 6 Series of 5 shots 'Duelling' timing (3 seconds exposed, 7 seconds away for 5 exposures). 25m Black Powder - Precision Stage. The target used in the 25m Black Powder Precision Stage is the ISSF 25m Precision target shown on the left. You will need a percussion cap revolver and the makings of 50 shots. 5 shots in 12 minutes. 4 Series of 5 shots in 12 minutes. 25m Black Powder - Rapid Stage. The target used for the 25m Black Powder Rapid Stage is the PA Service target pictured on the left. Shooters must be in the ready position at the start of each series. The ready position is arm extended at 45 degrees forward and down. 4 Series of 5 shots 'Duelling' timing (3 seconds exposed, 7 seconds away for 5 exposures). The target used for Rapid Fire Pistol is the ISSF 25m Rapid Fire Pistol target shown on the left. You will need a .22 long calibre pistol and 65 rounds. When the targets turn to the exposed position the shooter raises the pistol and fires one round at each target in the allocated time. 1 series of 5 shots on 5 targets in 8 seconds. The target used for Standard Pistol is the ISSF 25m Precision Target shown on the left. You will need a .22 long calibre pistol and 65 rounds. During the 20 and 10 second series shooters must be at the ready position at the start of the series. The ready position is arm extended at 45 degrees forward and down. 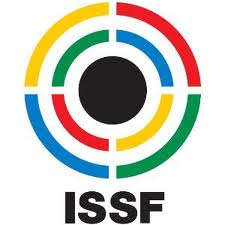 The target used in Air Pistol is the ISSF 10m Air Pistol Target. You will need a .177 Air Pistol and 60 pellets + as many pellets as you like during sighters. 15 Minutes preparation time and unlimited sighters then 40 Competition shots in 1 hour . Attention: To shoot any match or enter any range for any reason you will need appropriate footwear, hearing and eye protection. Fail to comply and you will not be granted admission to any range.